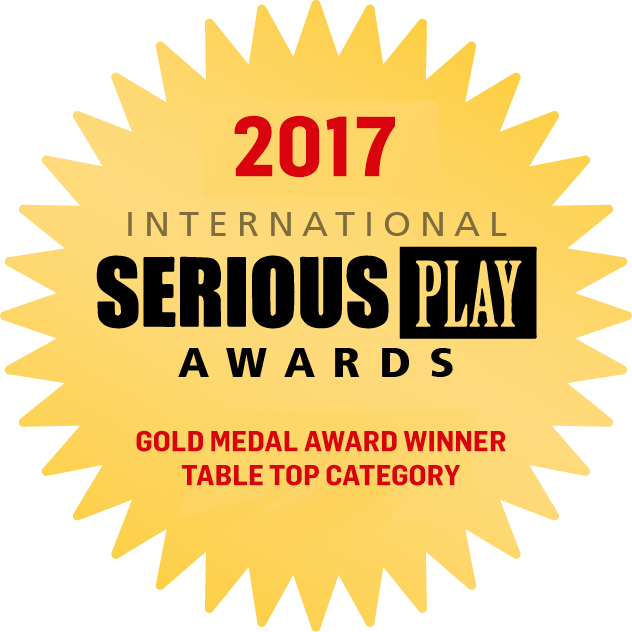 We are very happy to share the good news that our latest leadership simulation Bridgebuilders™ had been honoured with a gold award in the table top category at The International Serious Play Awards 2017. The award was announced at George Mason University outside Washington DC at the Serious Play Conference. Bridgebuilders is one of only three games in the business/corporate category to be acknowledged with the gold award. Bridgebuilders is a leadership simulation about leading a high-performing team across distance and culture in a global matrix organisations. The participants take on the role of a leader of a newly formed global team with corporate responsibilities. The players must build a high performing team that can deliver quality output in an environment occupied by sometimes skeptical stakeholders with their own agendas. The leadership simulation was launched in January 2017 as is already widely used by international corporations as part of their internal corporate programs and academies. One of these organizations is Switzerland-based Autoneum. Ready more about their experience with Bridgebuilders here.